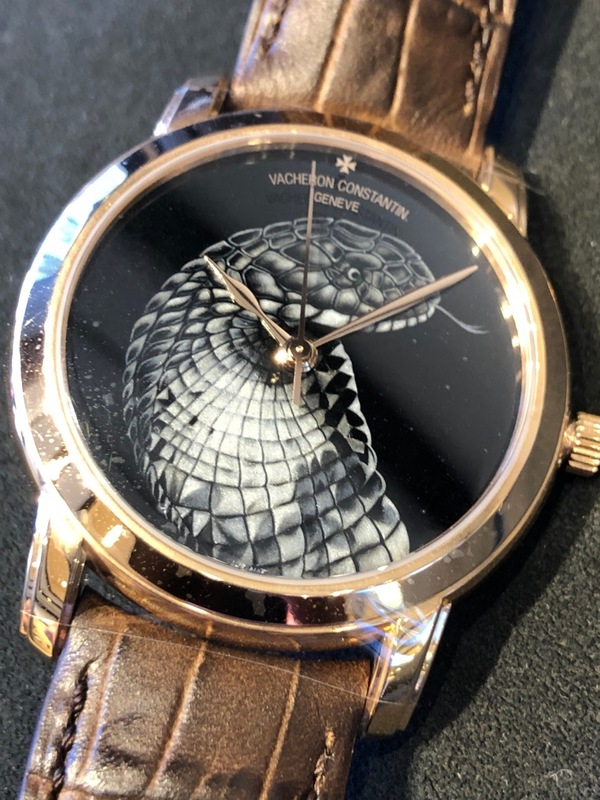 Vacheron Constantin - Les Cabinotiers 20 New Unique Watches For U.S. Tour. 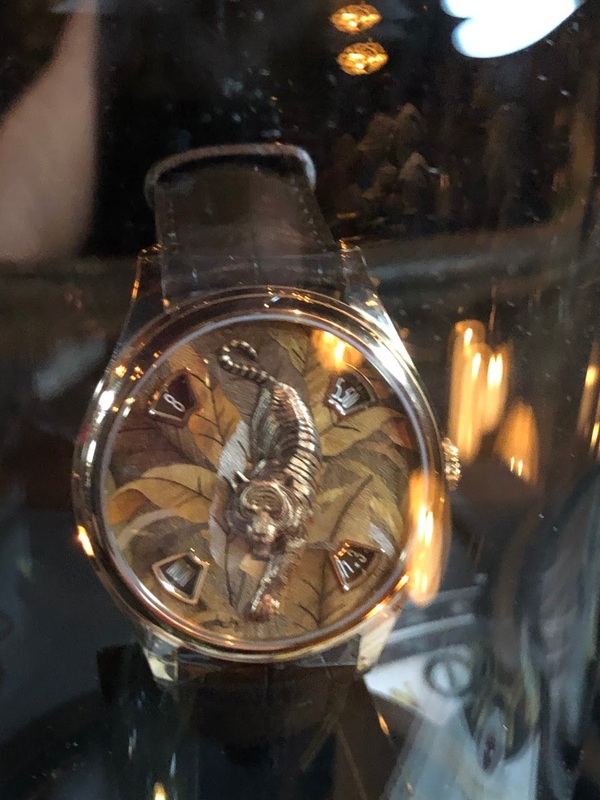 I had the great please to be invited to see the 20 piece collection from the Atelier Les Cabinotiers and the distinct honor to meet Leslie Kobrin, President of Americas for Vacheron Constantin. 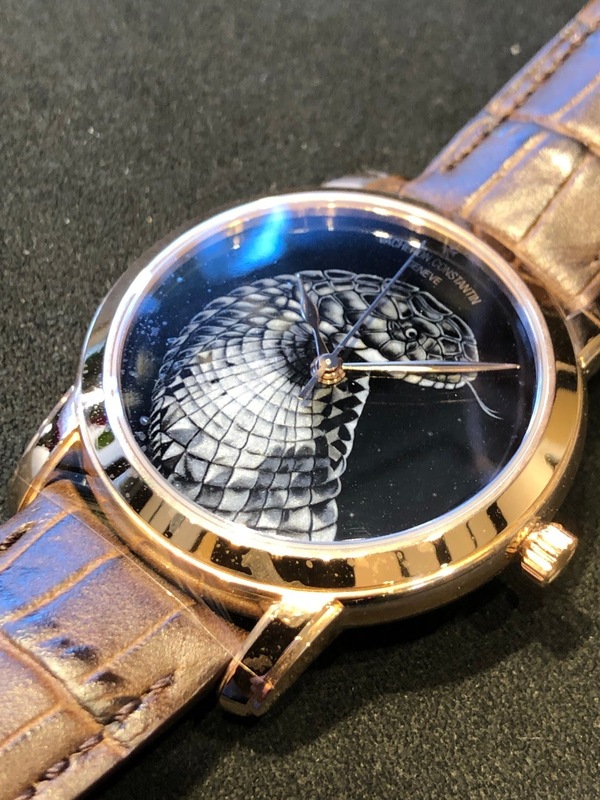 A very passionate Lady with a vision for Vacheron to elevate it to a place where it can show the special talents that have to offer bespoke, one-of-a-kind watches called the Les Cabinotiers collection. These watches can take from 18 months to several years to complete and can meet a clients wildest dreams. 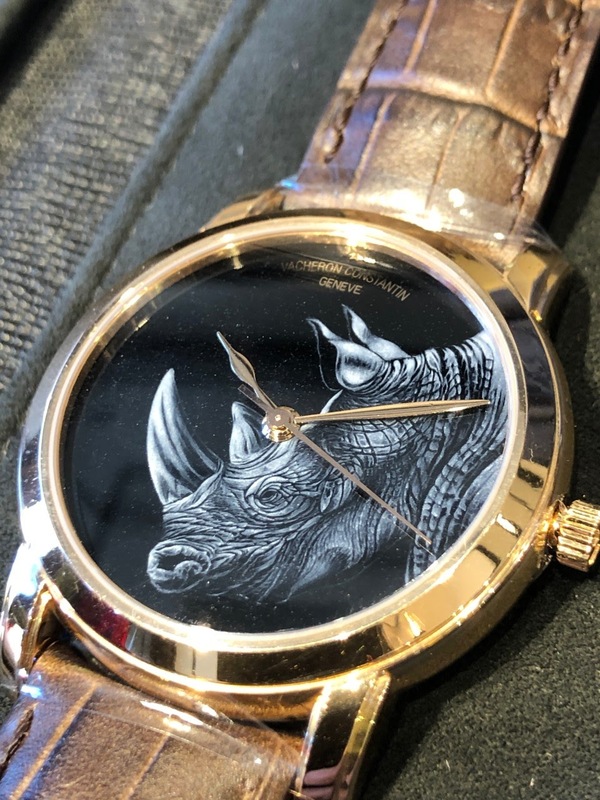 However, in this day and age where everything is instantaneous Vacheron has put together a collection to inspire its clientele with these 20 unique pieces that are available to purchase without years of waiting. Hopefully this will give the collectors some inspiration for the direction they can take their dream watch. 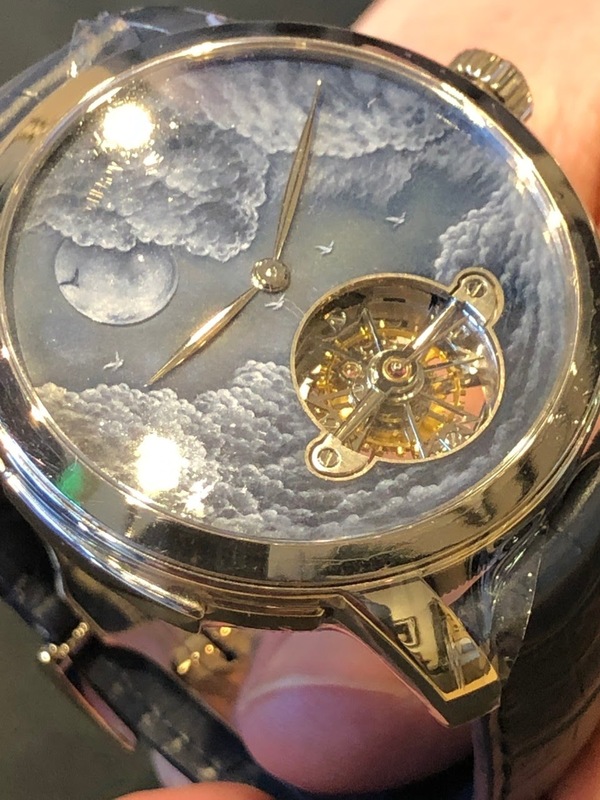 Again we are not talking about a small modification to a watch in their catalog but a watch that you can dream they will produce a “pièce unique" - one-of-a-kind for you. 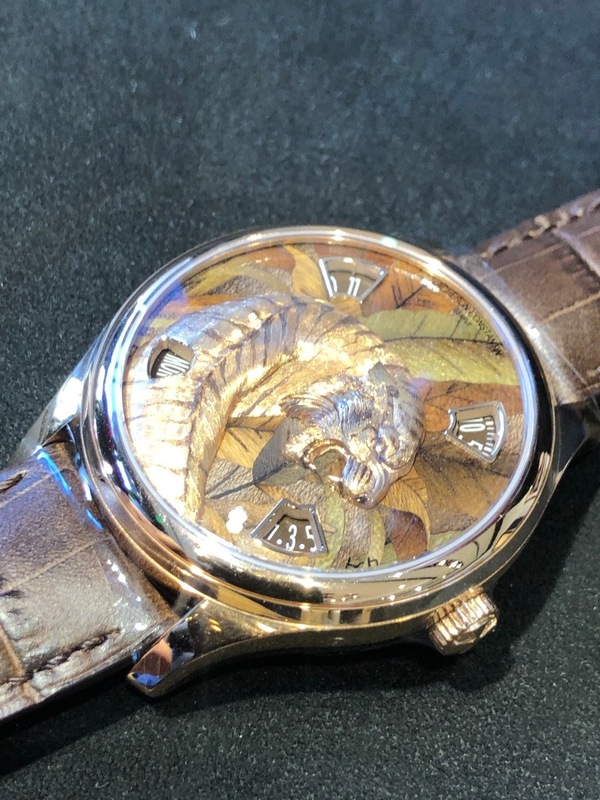 The prices range from a few hundred thousand to well over a million dollars for these watches made Vacheron Les Cabinotiers who are some of Geneva’s most experienced watchmakers. Les Cabinotiers tour of United States tour began on February 6th in Beverly Hills, CA. with next stops in Miami and finishing at their boutique in New York. All visits of the collection are by appointment so please give them a call. 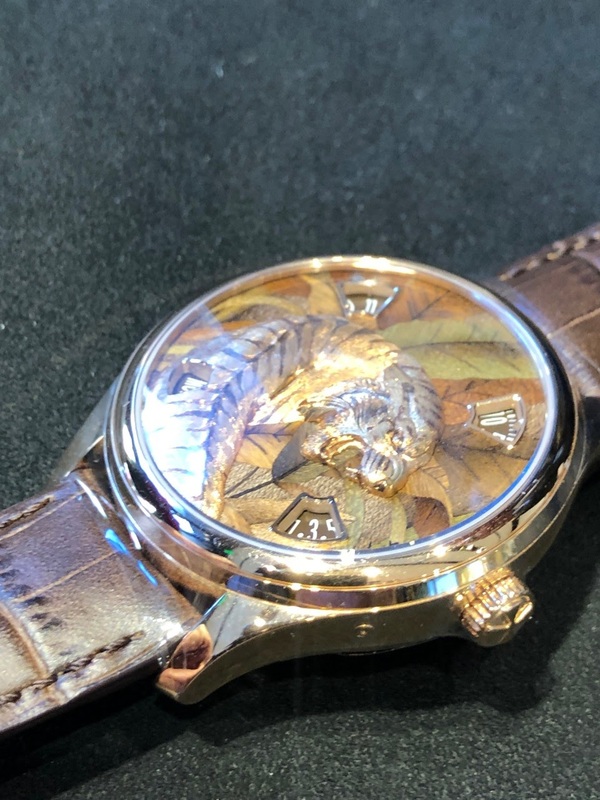 You will not regret a moment when you get a chance to the watches in person. Unfortunately I do not know the exact names of all the pieces nor did I have a chance to take great pictures due to the low light, but here are a few to inspire you. 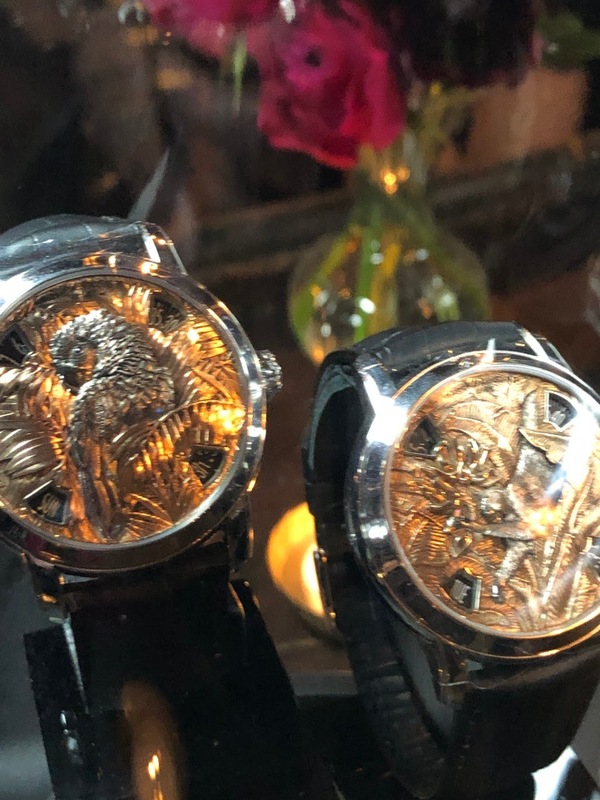 Please enjoy these bespoke, one-of-a-kind watches known as Les Cabinotiers collection. 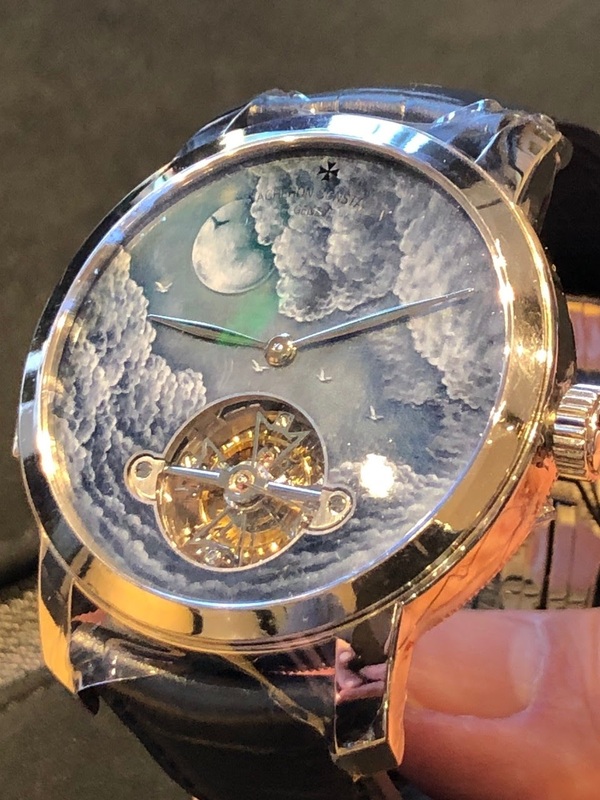 Vacheron Constantin also unveils the Minute Repeater Tourbillon Twilight The 18-kara white gold case measures 44mm in diameter. 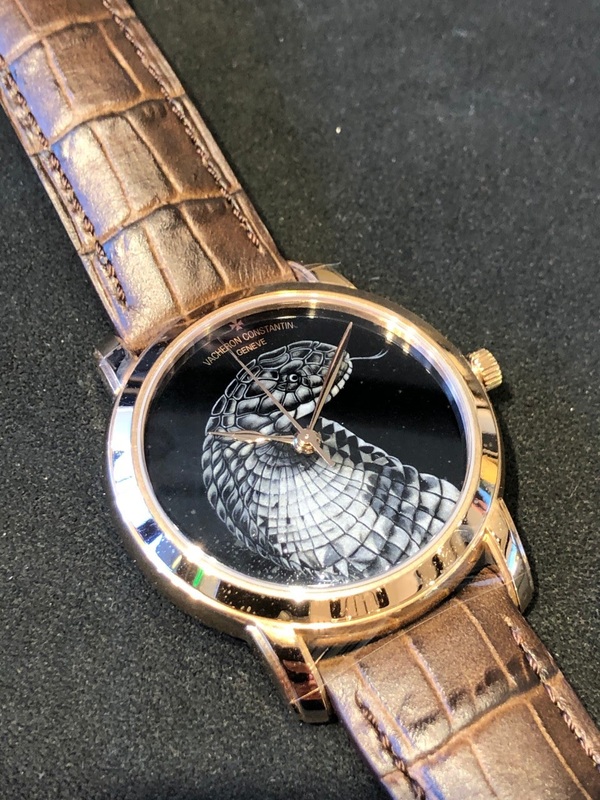 Vacheron Constantin Les Cabinotiers unique Mysterious animals Parrot watch. 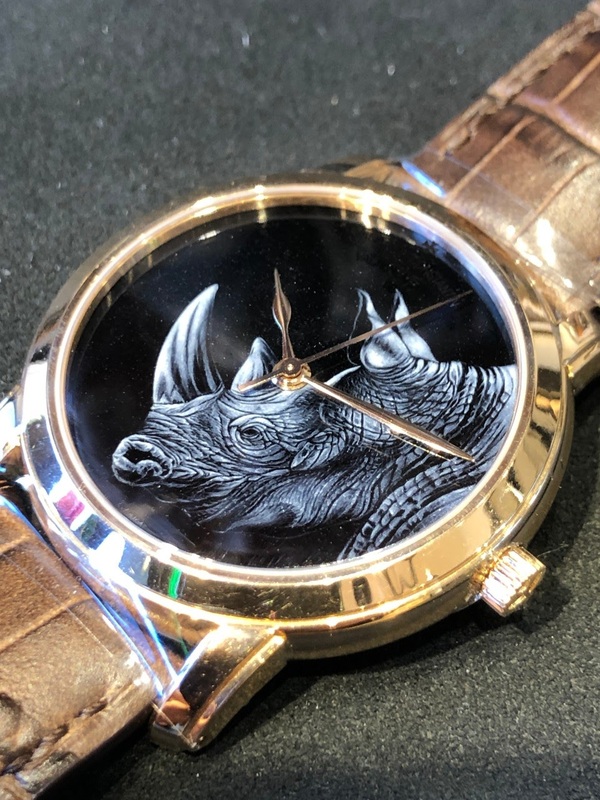 Below the Grisaille Rhinoceros 40mm wide in 18k pink gold. The dial color is more sky blue than the press pictures but it gives you a general feel. What a lovely piece to hold not to big at 44mm and not to thick either. Thanks for the live pictures Bill, these are true 'metiers d'art' masterpieces! 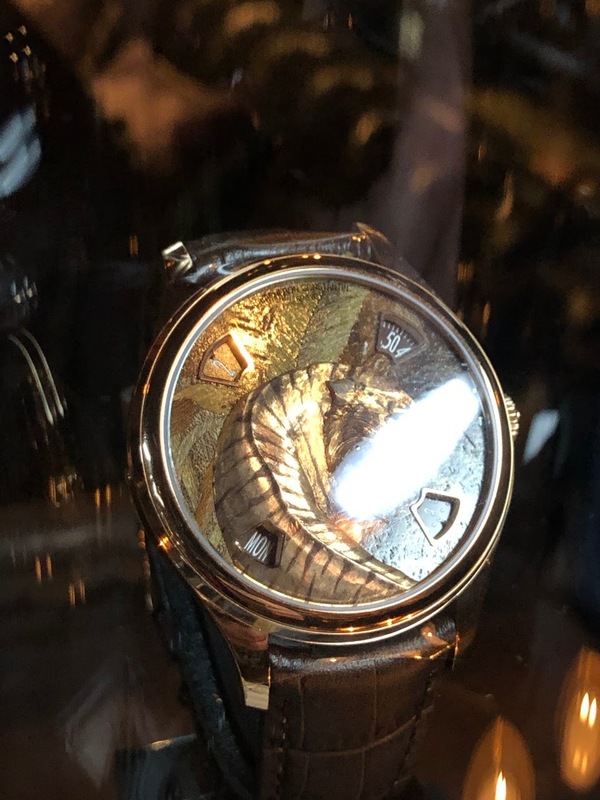 I wish I could have taken better pictures but at least you get the spirit and the direction that Vacheron wants to go. You are very correct. In a crowded market popularity against competence you have to find a way to feature your talents. The fast and disposable world is a challenge to tradition.